I’m heading to Boston this week for work and I’m reminded of the first time I went there. It was a few years ago and I was headed to a conference. Rather than just fly in for the conference and fly out once it was over, boyfriend and I decided to make a vacation out of it. Since this was during grad school we were living apart, miles apart. Boyfriend was living in Miami, Florida and I was in Madison, Wisconsin. Worlds apart! I remember flying in, seeing all the seaside houses. “How New Englandy!” I thought. After landing, and finding boyfriend, we were ready to hit the city. I find Boston to be one of the easiest cities to get around. From the airport, you can get to the city via bus, taxi or subway. Once you get to the city it is surprisingly small. I once described Boston as a “small city” to someone from Montana. They laughed at me. But Boston really is a small city, totally walkable. This is a good thing, because boyfriend loves to walk. Our trip to Boston was no different than any of our other vacations. We walk eighteen miles a day, eat maybe one and a half meals, and come home having lost weight. We would walk from our hotel on the southern waterfront to the North End (for cupcakes) then all of the way to Fenway. We walked from Cambridge down the length of the Charles River. I love the walking, but sometimes it gets a little out of hand (stay tuned for the Death March in St Kitts). I remember all of the walking in Boston (have you walked the entire freedom trail? I have), I remember going to Johnny Cupcakes and being terribly disappointed, but most of all, I remember the food. In honor of the food, I brought home a cookbook from New England. This is something that I like to do, whenever I go on vacation. 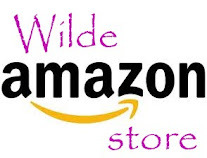 I have cookbooks from all over the world, in several different languages. The recipes remind me of the great times that I had in each place. 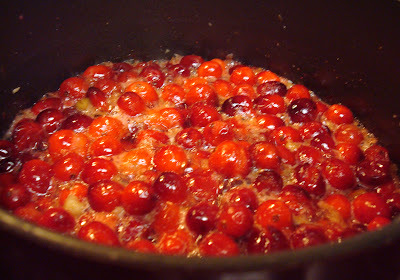 Since it is fall and we are nearing thanksgiving, we’re cooking some New England Cranberry Chutney. And since it’s my birthday week, I’m pouring it on some vanilla ice cream. 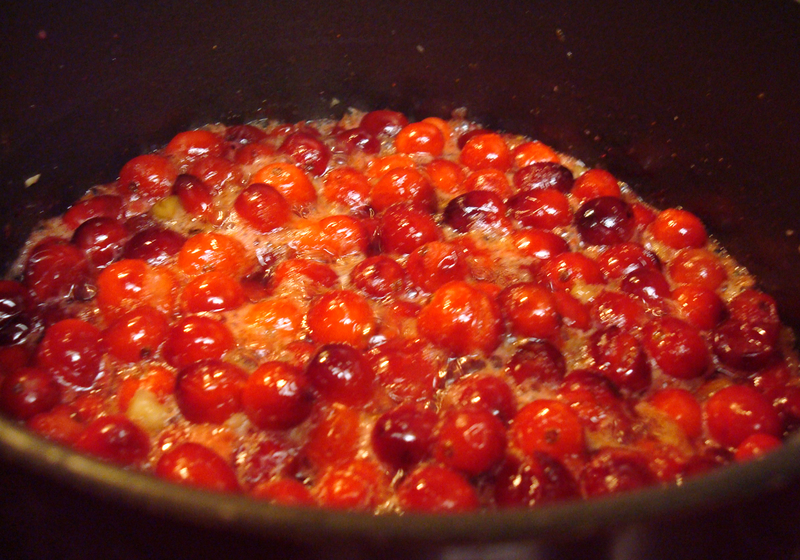 Place all ingredients in a pot and heat on low for 30 minutes or until desired thickness is reached. 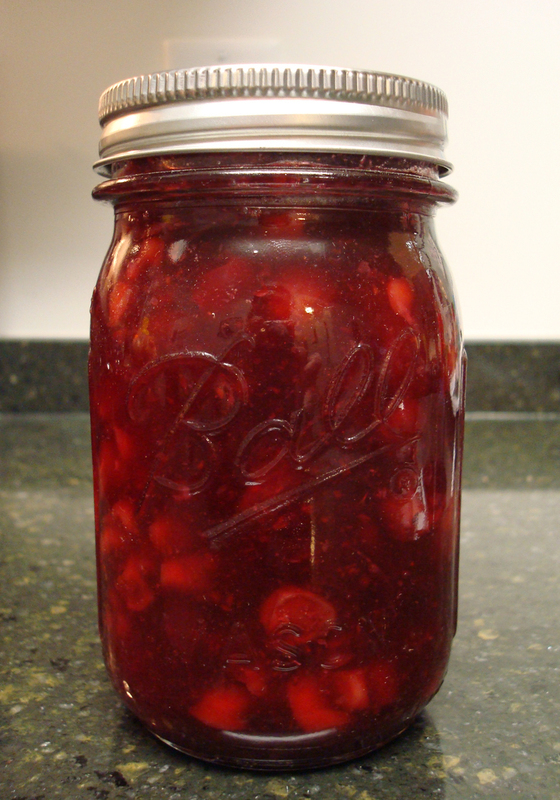 Pour into jars and store in the fridge. Enjoy over pork chops, turkey or anything else that strikes your fancy! 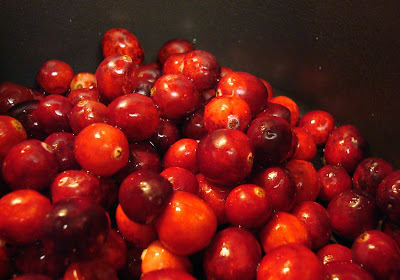 I just bought a bag of frozen cranberries! Apparently in Texas they don't believe in fresh ones.. at least not yet ha I am totally going to try this though!! I love New England (grew up partially in Rhode Island) and I love canning things so this is right up my alley!